The Netherlands has long been a key player in the field of dance music, as a nation it's responsible for some of the most successful producers and DJs int the world. Now, PostNL will be celebrating the talents of some of their most well-known DJs, by giving five Dutch dance DJs their very own postage stamp. 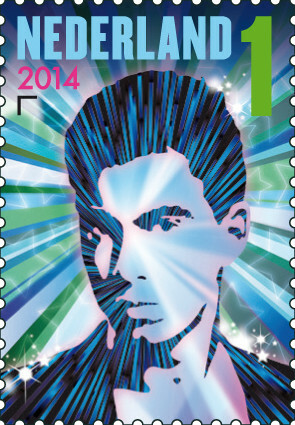 The portrait of current World #1 Hardwell, alongside fellow Dutch DJs Afrojack, Armin van Buuren, Dash Berlin and Tiësto, will be presented in luminous, vivid colours on the special collection of stamps which will be available to the public this Monday 6 October. “PostNL is the heart of society, so we like to bring stamps that meet everyone's perceptions - we are proud that we can honour these heroes in dance!" The stamps are also provided with an invisible code that can be scanned with the Cee App (Available for free download in the App Store or Google Play), to unlock five excerpts of the artists’ latest tracks. Having already scoped the prize for ‘Best Global DJ’ and ‘Best Progressive House/Electro DJ’ at the 2014 IDMA awards in Miami, and more recently being nominated for ‘Best Dutch Act’, ‘Best World Stage Performance’ and ‘Best Electronic Act’ in the 2014 MTV European Music Awards; making him the first Dutch dance artist to ever be nominated in three separate categories. The 'Dutch DJs' stamps are intended for mail up to 20 grams with a destination within the Netherlands. The stamps are available at all stores and Bruna via Collect Club.